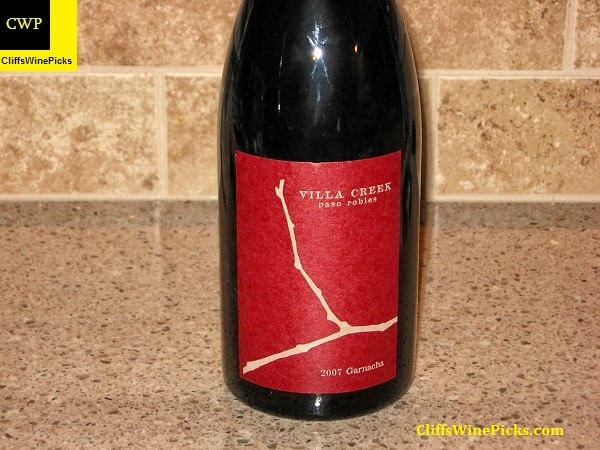 Villa Creek is one of my favorite wineries. This wine along with their Avenger wine are my favorites they produce. The winery produces several very nice red wines, most of them being innovative blends from the big name vineyards in the Paso Robles area. Besides the reds, they also produce a very nice white Rhone styled wine and a good Rosé. The winery is worth the effort of tracking down a few bottles either locally or through their website. This has 14.8% alcohol by volume and is closed with a Stelvin LUX+ stopper. In the spirit of the great wine producers of the southern Rhone and the bodegas of Rioja and Priorat, blending is what Villa Creek does best. The area’s finest Grenache, Syrah, Mourvedre and Tempranillo Vineyards are just a stone’s throw from the west Paso Robles winery where these blends are lovingly produced by winemaker Cris Cherry and his wife JoAnn. The grapes of the area’s most progressive vineyards, James Berry, Denner, Ohana and Booker, currently grace the wines of Villa Creek Cellars. Per acre contracts insure that the fruit comes off the same blocks each vintage. The Cherry’s own 70 acre estate on the west side of Paso Robles boasts elevations of 1400-1800 feet, calcareous soils, south facing slopes and ample water. In the spring of 2012, the Cherry’s finished planting their first grape vines, 3.5 acres of Grenache. They look forward to planting Mourvèdre and Carignan in the months to come. Jeff Cohn just keeps cranking out the hits. Since his earlier days making outstanding wines for Rosenblum, Jeff is now making the same style of wines for his own label. These are generally full throttle, distinctive wines. 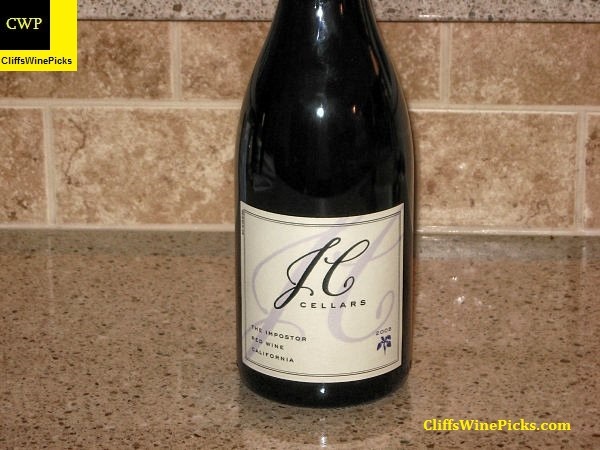 This wine is a blend of Zinfandel, Syrah, Petite Sirah, Tempranillo, Carignane, Grenache and Viognier. This wine has 15.5% alcohol and the bottle is sealed with a natural cork. 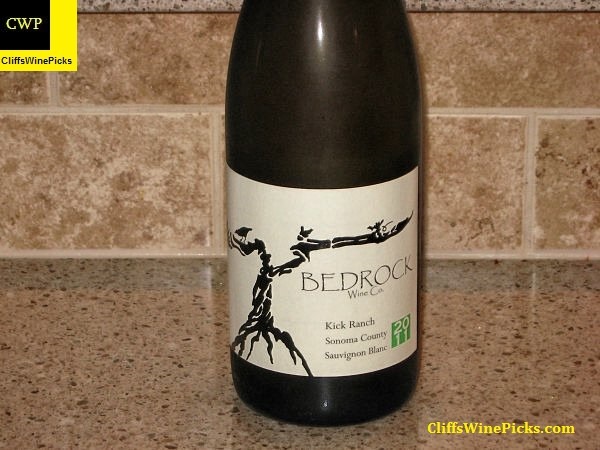 I joined the Bedrock mailing list a few years ago to get access to the red wines they were producing. Even though I really like those reds, I love their white wines. In my opinion, Morgan Twain-Peterson is currently producing some of the best white wines coming out of California and selling them at killer prices. 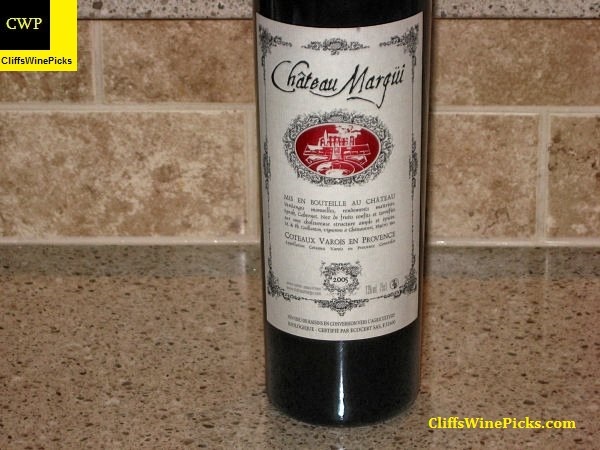 The wine has 13.4% alcohol by volume and the bottle is sealed with a natural cork. This is a blend of 60% Syrah and 30% Grenache. The Grenache vines are over 60 years old and the Syrah vines are over 30 years old. This wine was 100% tank/cement raised (NO wood). This has 14.5% alcohol by volume and the bottle is sealed with a natural cork. This wine is a blend of 52% Cabernet Franc, 21% Merlot, 19% Cabernet Sauvignon and 8% Petit Verdot from Washington state’s Horse Heaven Hills. This wine has 14.7% alcohol by volume and the bottle is sealed with a natural cork. Champoux (pronounced “shampoo”) Vineyard is set back five miles from the Columbia River in the Horse Heaven Hills. The 175 acre vineyard was first planted in 1972 and Block 1, the oldest section, provides the Cabernet Sauvignon for Andrew Will’s Sorella. Paul Champoux, the leader of the partnership that owns the vineyard, is on site to monitor the growth and to manage the vineyard. The balance of the plants is sought through use of micro nutrition and keen viticulture practices such as pruning to fruit ratio. 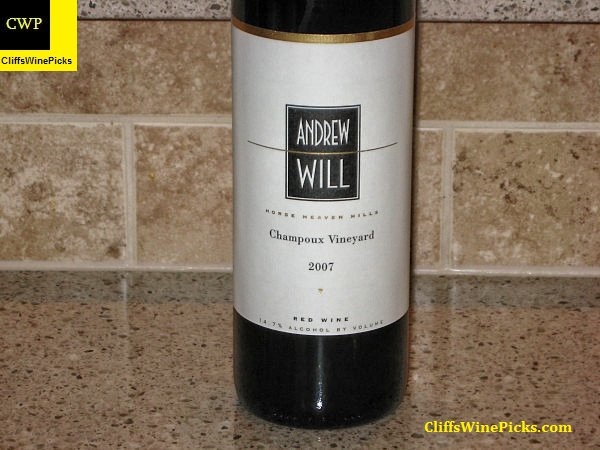 Andrew Will is part of the minority ownership of the vineyard. Other partners include Quilceda Creek, Woodward Canyon, and Powers. Andrew Will Winery was started in 1989 and is owned by Chris Camarda. The winery was launched out of a love for wine that Chris had developed while working in the restaurant trade for almost 20 years. Named after the Camardas’ son Will and nephew Andrew, Andrew Will has been a major contributor to the success and notoriety in recent years of Washington State wines. Initially, the winery consisted of 900 square feet of rented industrial space in Seattle. In 1994, the Camardas moved to Vashon Island, a short ferry ride from Seattle, where they built the present winery. The fruit however comes from the mainland, across the Cascades in Eastern Washington, where all the significant vineyards lie in the rain shadow of the mountains. Klipsun and Ciel du Cheval vineyards are adjacent on the loam and gravel soils of Red Mountain but produce different styles of wine. Klipsun makes massive, opulent wine to appreciate early. Ciel du Cheval possesses a slightly more tannic structure and great ageing potential. This was a spur of the moment purchase from Garagiste several years ago. How could you pass up on a wine with the following Jon Rimmerman description and a cost of under $16? The Syrah, which makes up 70% of the cepage has teeth like a Northern Rhone (not a Southern Syrah) and the Cabernet is like Left Bank Cabernet in a vintage like 1982 or 1990 – ripe and seductive with a fine tannic bite that only Cabernet skin tannins can provide. Mix the two together and you have a cool-climate/warm-climate dichotomy from a great vintage (2005) that drinks like a much more expensive wine – no wonder the restaurants are lining up to buy this (can you imagine what the mark-up will be from a Michelin starred venue?). 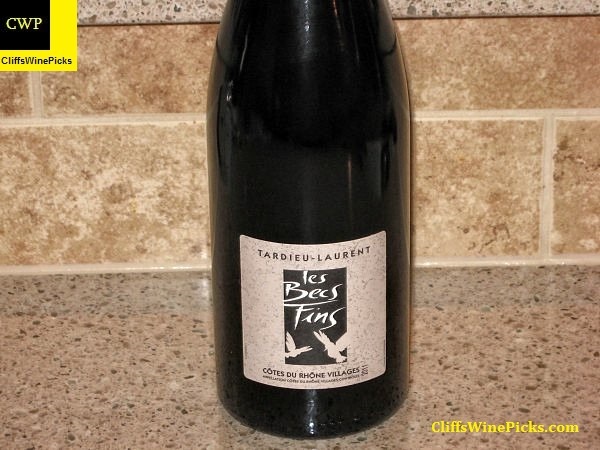 With only 12.5-13.0% natural alcohol and fascinating levels of balanced natural extract, the glowing red fruit, mineral-dipped flavor has an uncanny Bordelaise edge that is magnified by the meaty, floral capacity of the Syrah. Basically, it’s a great effort and EXTREMELY LIMITED (only 50 cases of the 2005 for the US). This has 13.0% alcohol and is sealed with a natural cork. 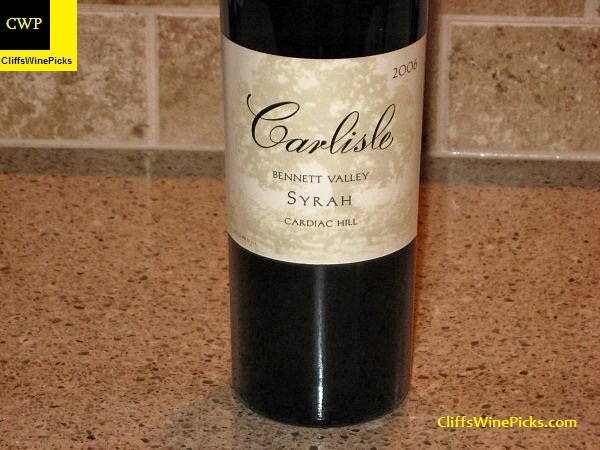 This is probably my favorite Syrah in the Carlisle lineup. This usually has that little something extra that propels it to the upper echelon. I’ve never met a Bennett Valley Syrah I didn’t like and actively hunt them down. One of my wife’s all time favorite wines. How much does she like it? Per Cellar Tracker I bought a total of 33 bottles, and his will be the 26th bottle we’ve opened since December 2009. I should add I like this wine as well. I still do not understand how it was such a slow mover at the local wine store. This is part of my last case which only cost me $19.00, a bottle. A steal based on the $35 release price. Stuart Miller is the winemaker and caretaker of the vineyard: this is truly a hands-on winery where every step of production from vineyard to bottling is overseen by Stuart himself. His family are involved in all stages of the process, picking grapes, pruning vines, bottling, packaging and more. 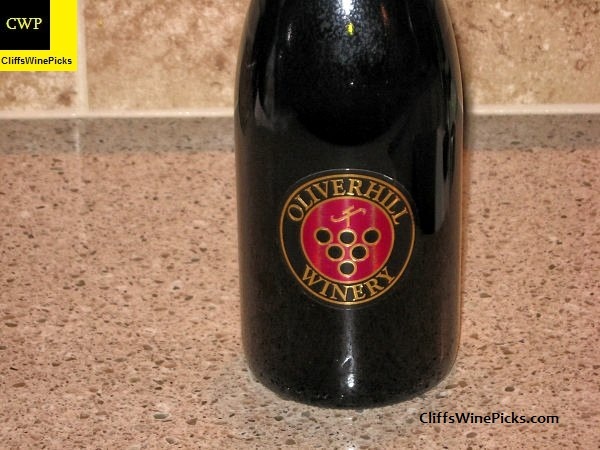 Oliverhill was established in the early 1970s and the Miller family moved in during the early 1990s. 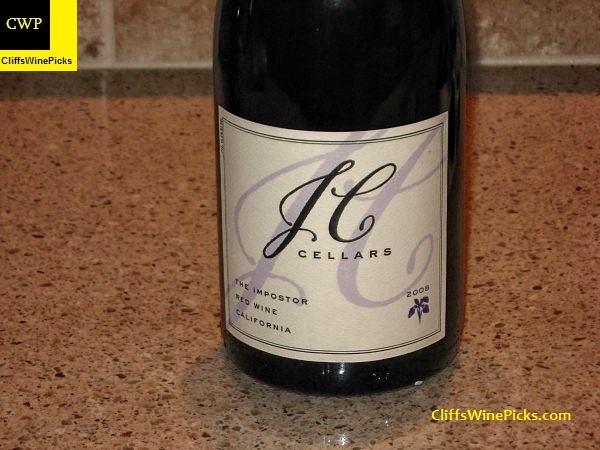 Jeff Cohn, the winemaker, president, and “JC” of JC Cellars got his start in the industry almost 20 years ago. As an intern at Boordy Vineyards in Maryland, he drove an hour and half each way to prune vines in frigid weather, pick grapes in stifling heat, and scrub everything from barrels to floors. Long before he began his winemaking career he received an associate degree in culinary arts from Johnson & Wales University, and a bachelor’s degree in hospitality management from Florida International University. Cohn had always loved the hospitality industry, and as he worked through several high profile positions after college he found his passion for wine steadily growing. The more he learned, the more he wanted to learn, until he realized that becoming a winemaker was his ultimate goal. The job at Boordy was a deciding factor in the trajectory of his career — in spite of all the scrubbing. Turley Winery, in my opinion, was one of the first, “cult wineries” in California. Their wines were impossible to get, unless you were one of the lucky few on their mailing list. Some of the luster has faded a bit due to competition from the likes of Carlisle and Bedrock, but the name Turley still commands attention from a LOT of people. It vineyards in California were rated based on the quality and reputations of the grapes they produced, there wouldn’t be too many above the Hayne Vineyard. 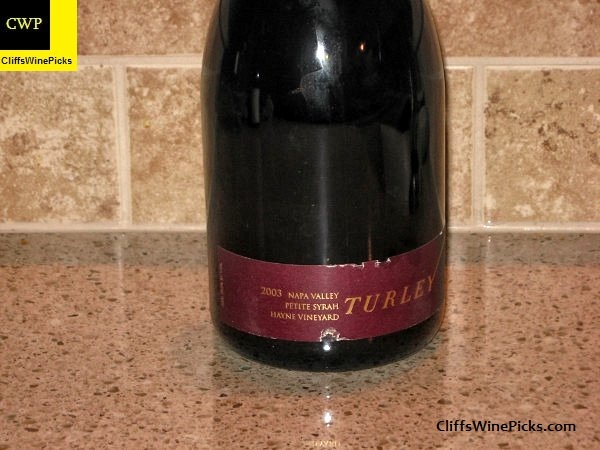 The Petite Sirah and the Zinfandel produced from Hayne Vineyard are the top wines made by Turley. Starting out with just one location in St. Helena, Turley Wine Cellars soon expanded to Templeton with the purchase of the historic Pesenti winery, where Zinfandel had been planted since 1923. As of 2000, Turley Wine Cellars has had a two-year waiting list for new wine club customers. In 2007, Turley Wine Cellars was producing approximately 14,000 cases a year of both single-vineyard and regional Zinfandel wines. By 2011, Turley Wine Cellars is annually producing approximately 16,000 cases of award winning Zinfandel and Petite Sirah wines using multiple “small” vineyards located in Napa and Sonoma counties, and other Paso Robles locations. I worked at the wine store yesterday, so I had to grab a few bottles.